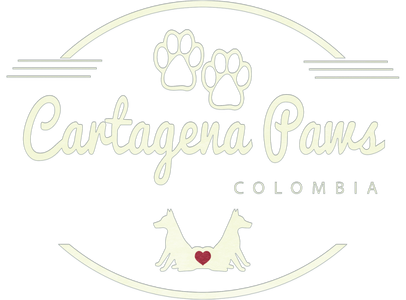 Cartagena Paws is a small Non-For-Profit Organization that is committed to saving the lives of the countless street animals of Cartagena. We work daily to help spread awareness about animal rights and educate community members about compassion and empathy for animals. 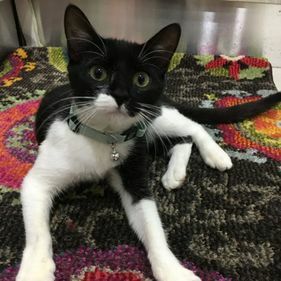 Cartagena Paws works hard to save the lives of injured animals along with conducting spay and release programs within the community. 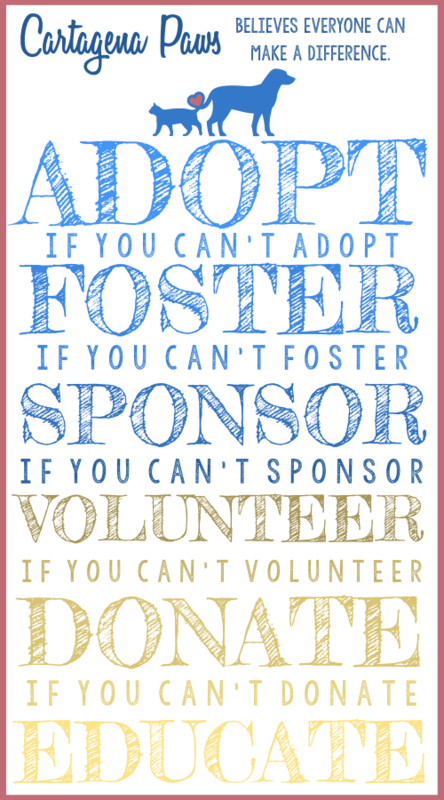 We also work hard on finding fosters for our rescues and forever homes. Our fund raising efforts work to meet two main goals. The primary need is to offset the immediate medical & vet expenses of our rescues. Many animals have experienced years of neglect or abuse and require a range vaccinations and surgeries for their rehabilitation. Our long term focus is to raise funds to build our own sanctuary so we may expand the number of rescues and placements.